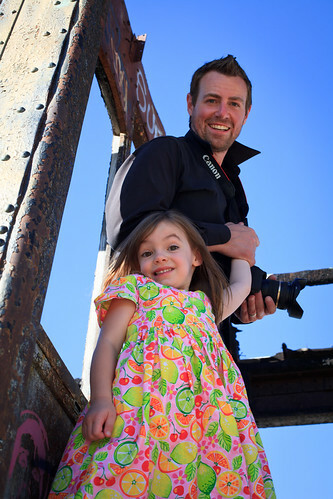 Daddy Daughter Train – 365, 196, originally uploaded by Fluttering By. On the way to Tooele, we always pass this abandoned train and building. Today, we made a special trip to see it up close (totally Thom’s idea, I was chicken about the whole thing until we got there). Made for some pretty cute pictures. As you can tell, Thom brought his camera too, so you all may, gasp, get to see a picture or two of me. « Curse you Perry the Platypus! !